Fans of the Bachelor franchise know and love Wells Adams, and after his last stint on Bachelor In Paradise (as the bartender, not technically a contestant), they know he deserves love as much as anyone out there. 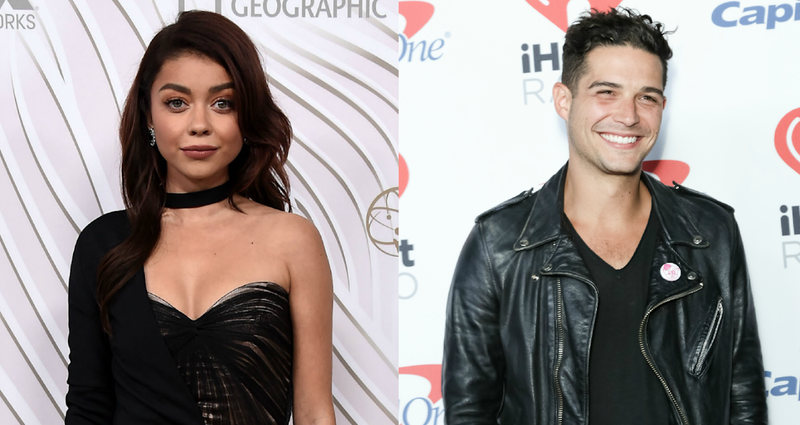 And he’s apparently found it in Modern Family actress Sarah Hyland. The two have been making headlines since Halloween, when they both posted photos to Instagram of what was clearly a couples costume. Adams captioned his with, “11 hangin’ out with a 10,” and if that doesn’t just make you swoon, then quit reading now because you have no heart. Since then, they’ve gotten progressively more Instagram official, proving that they’re the real deal, and not just hanging out or whatever. That look right there? That’s love, y’all. Most recently, Hyland took a page out of the Taylor Swift book of sappy relationship things, and posted a photo that showed her wearing a tiny “W” charm on a necklace. So, uh, we think it’s safe to say Hyland is pretty into this. Congrats, you crazy kids.